Bamboo Basket, Portside Wharf, Hamilton, Brisbane - my name is Food. 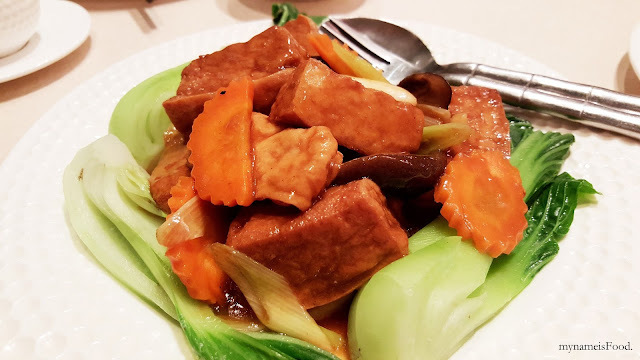 At a place such as Portside Wharf, Chinese food wouldn't be the first on my mind to dine at as there are other restaurants around and maybe would deliver higher quality of food in comparatively. 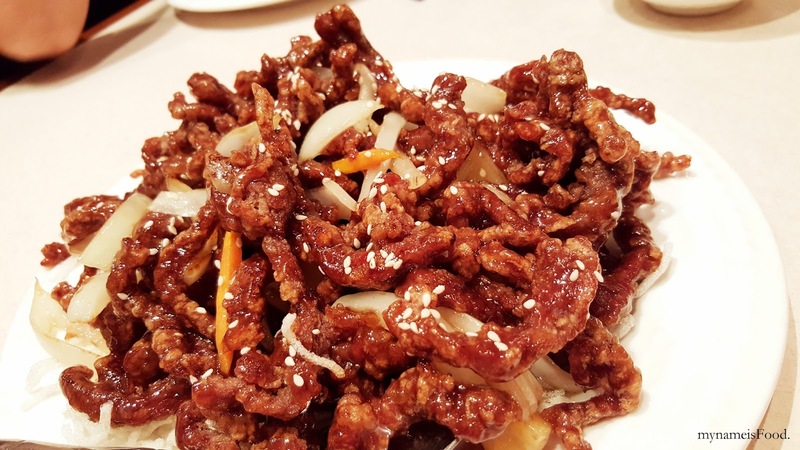 However when one is quite lazy to drive down to southside just for chinese food, or don't feel like takeaway from your local or nearby chinese restaurant, then why not go down to Hamilton where you have an option of here and another nearby. Having two branches, one at Hamilton, the other, at Southbank, you wonder if the quality and standard of food may change due to its location and chefs. 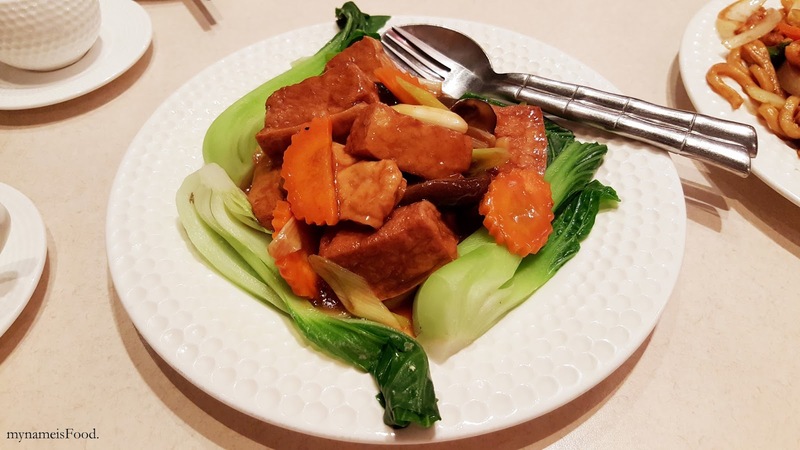 'Braised Tofu w Mixed Vegetables' (AUD$18.9) in oyster sauce is a classic vegetable dish to order and is great for sharing. 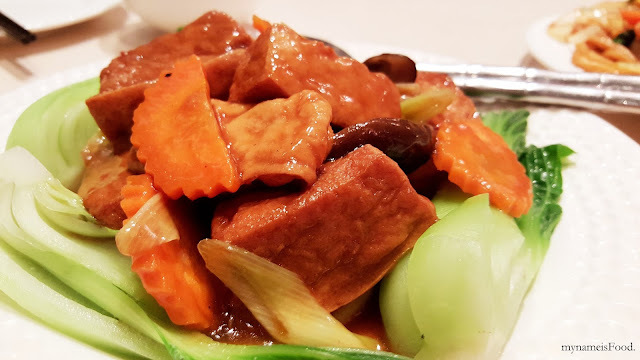 With quite a light sauce and having various vegetables including carrot, mushrooms, braised tofu, greens and so on, you are able to enjoy the other heavily flavoured dishes while neutralising as well as having a dish where it gives you that subtle taste and flavour. The sauce itself when spooned onto a bowl of warm rice is quite nice. 'Stir Fried Handmade Noodles' (AUD$19.9) with chicken is simply cooked in a soy sauce base. It consists of onions and a few greens here and there along with the meat of your choice. There are also a choice of having mixed vegetable and tofu or seafood and even lamb or duck if you prefer. 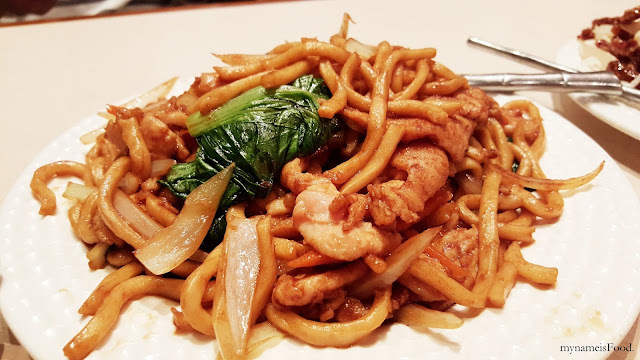 Thick egg noodles allows the sauces and marinate to be absorbed into the noodles while also enabling the meat and vegetables to complement it nicely. 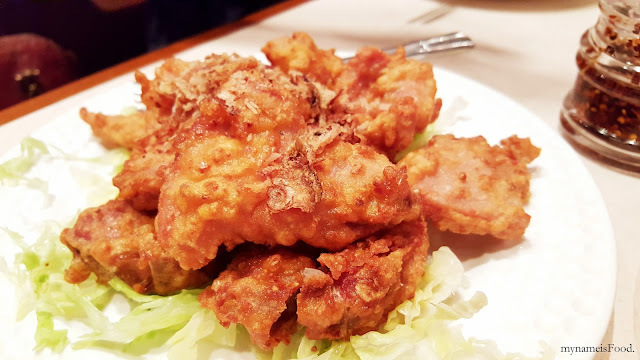 Although the flavour was not overpowering, it is quite a nice substitute for fried rice, especially again, for sharing with a number of people. 'Stir Fried Crispy Beef Strips' (AUD$19.9) served in a sweet bean sauce with thinly slices of onions and carrot as well as having a few chunks of pineapple with crispy white noodles as a base topped with sesame seeds. A beautifully presented dish and being able to see the stickyness of the sweet sauce just makes you hope that it won't be overly too sweet. 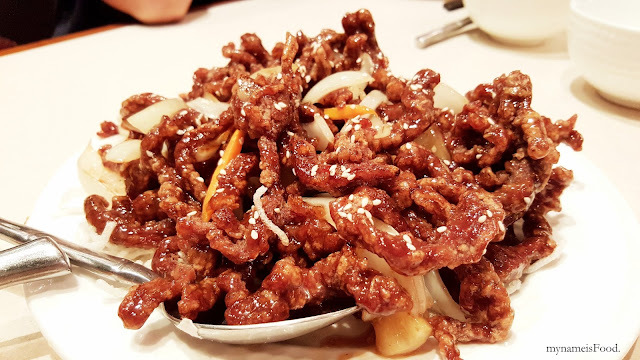 One of my favourite dishes to order when eating at a local Taiwanese restaurant is this, although sometimes you just don't feel like eating sticky stir fried crispy beef strips but instead want a saucy and stir fried beef with vegetables, but once in a while, this dish can and will definitely bring smiles to everyone who takes a strip as they will then realise, they will keep coming back for more. As for the sauce, it was a tad sweeter than what I thought but eating it with rice balances that nicely. 'Salt n Pepper Pork Chop' (AUD$20.9) were topped with crispy shallots and placed on top of a bed of shredded lettuce. Steaming hot when it arrived on the table, allowing a few minutes for it to cool down before taking a bite may be wise. As it may not be as hot as you might have thought but when you take a bite, just a little, your tongue might get a bit burnt. And of course, no one wants that. 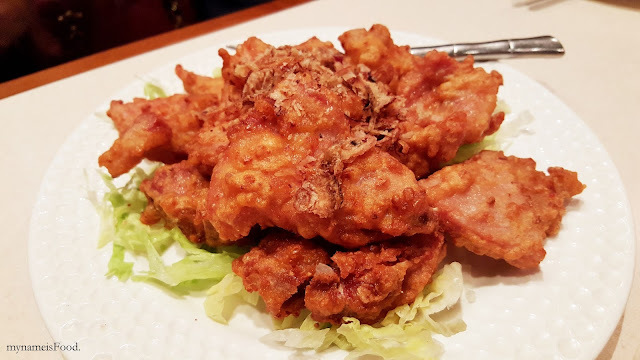 Salt and pepper pork chop is another great dish to share amongst others and won't be those type of dishes where you would want to eat it alone and by itself. The wonderful thing is that it is packed full of flavour, the salt and pepper not too strong and it usually isn't too salty. Big chunks and pieces of pork chop is great to have but just remember there are still little bones inside.